As the weather warms up (even if it is only slightly) and competition picks up, U.S. Open season is fast approaching. 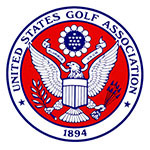 The USGA announced on Feb. 11 its list of local qualifying venues for the 2019 U.S. Open to be played at Pebble Beach (Calif.) Golf Links. Local qualifying, which consists of a single 18-hole round, will take place at 110 sites in 43 states and Canada from April 29-May 13. Those players who advance out of local qualifying will join a group of exempt players in sectional qualifying, which will be conducted over 36 holes at 12 sites, nine of them in the U.S., one in England, one in Canada and one in Japan. 18-hole stroke play qualifier open to male amateurs with a handicap of 1.4 and below. Players who advance will get to choose their top three sectional qualifying sites. The number of qualifying spots will depend on the size of the field.